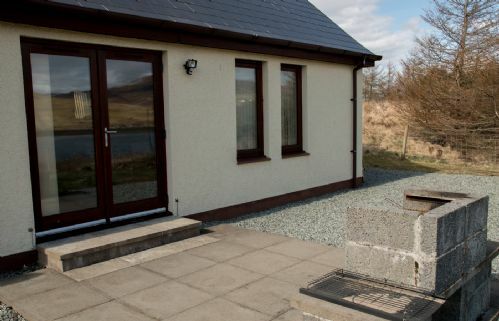 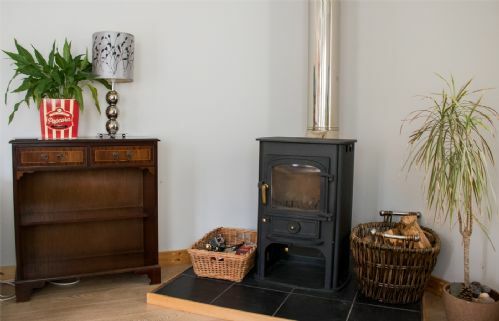 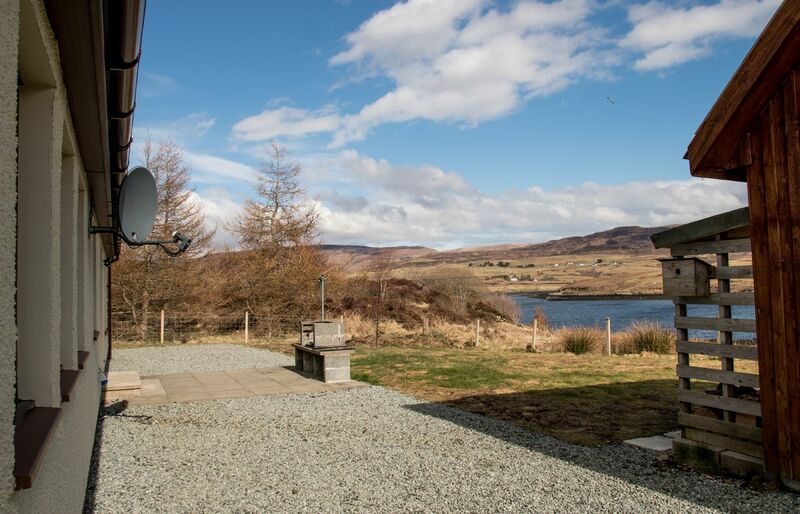 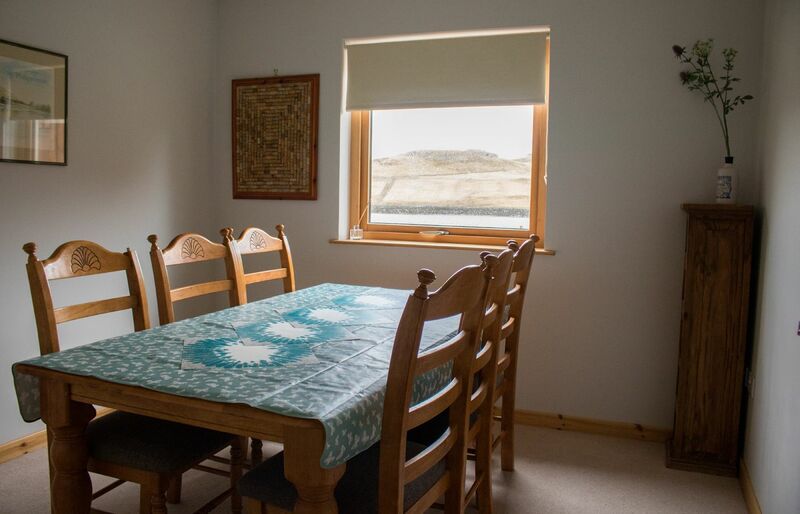 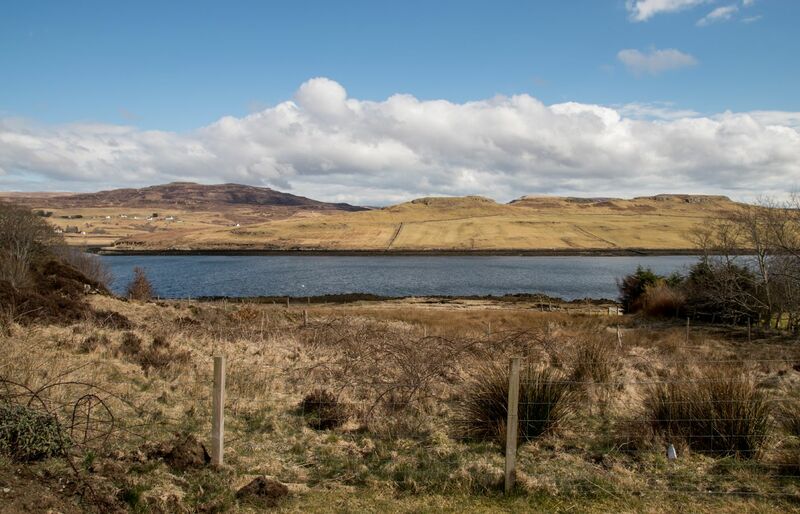 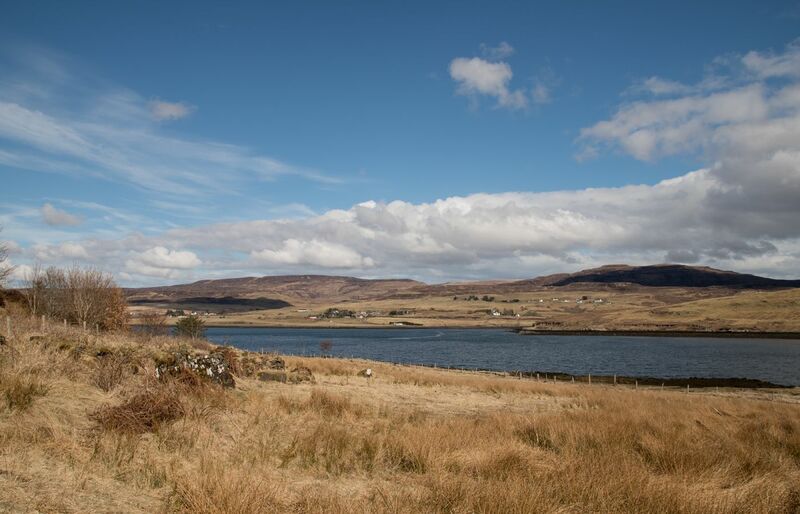 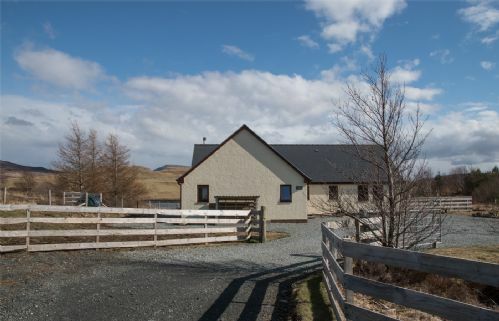 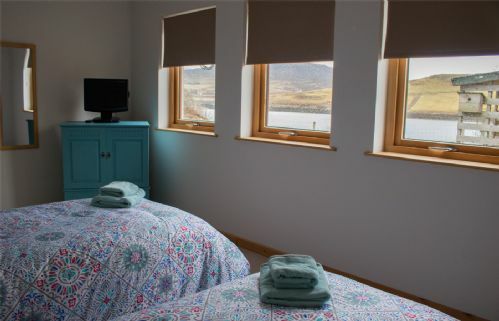 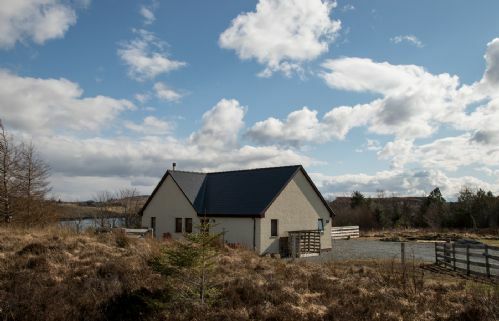 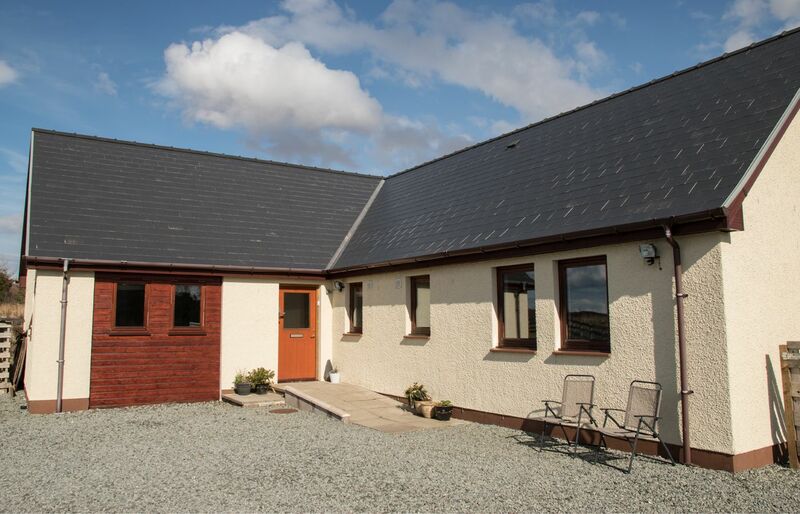 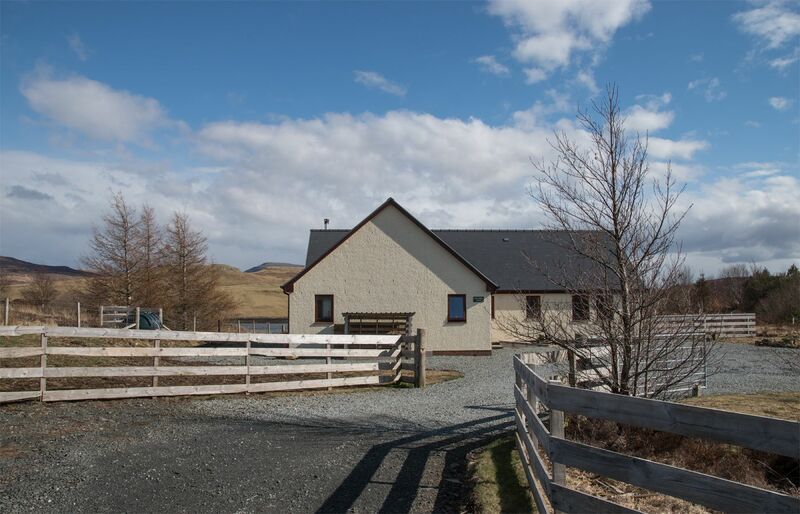 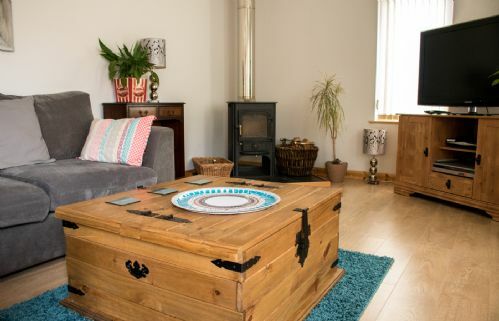 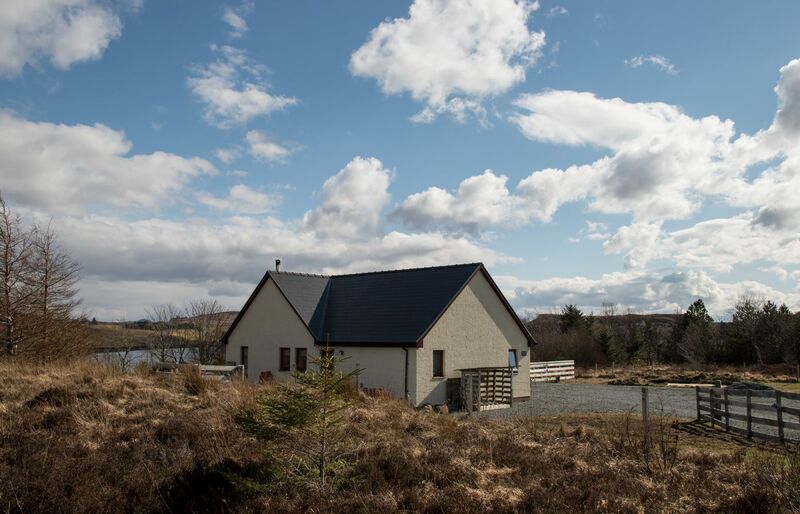 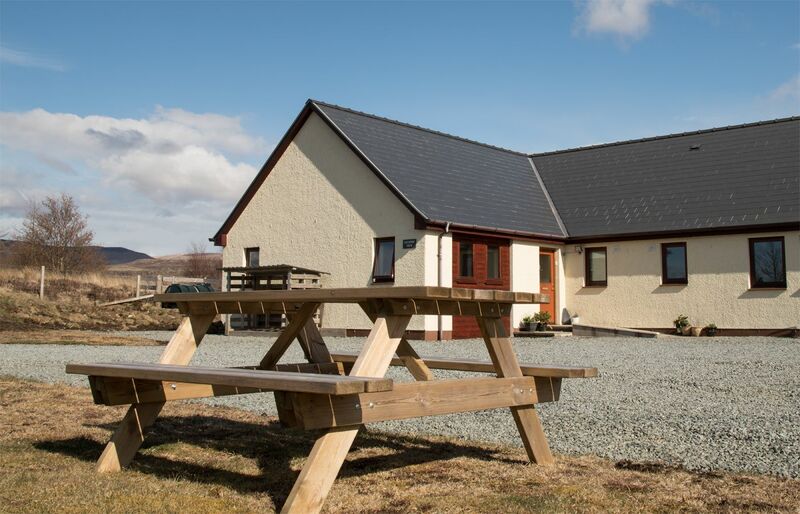 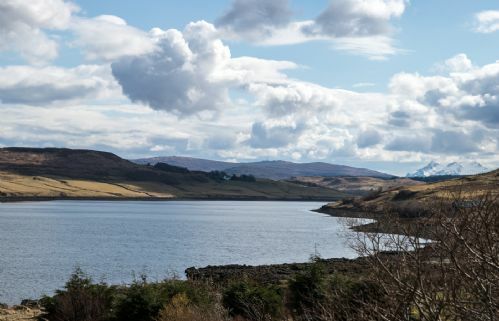 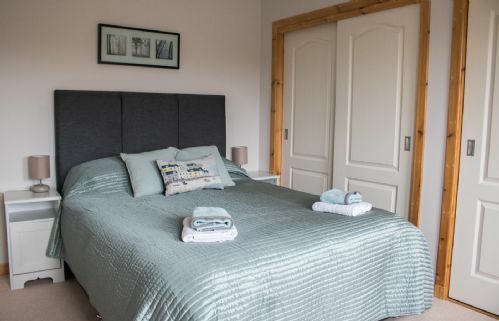 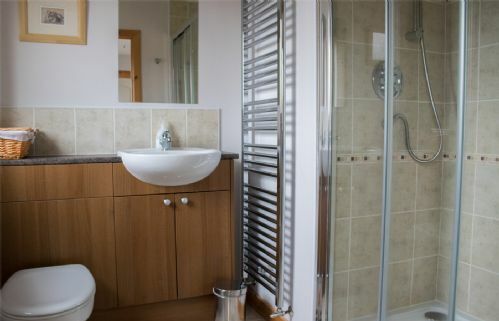 Skyefall, Aird Bernisdale is a stunning holiday home with views over Loch Snizort. 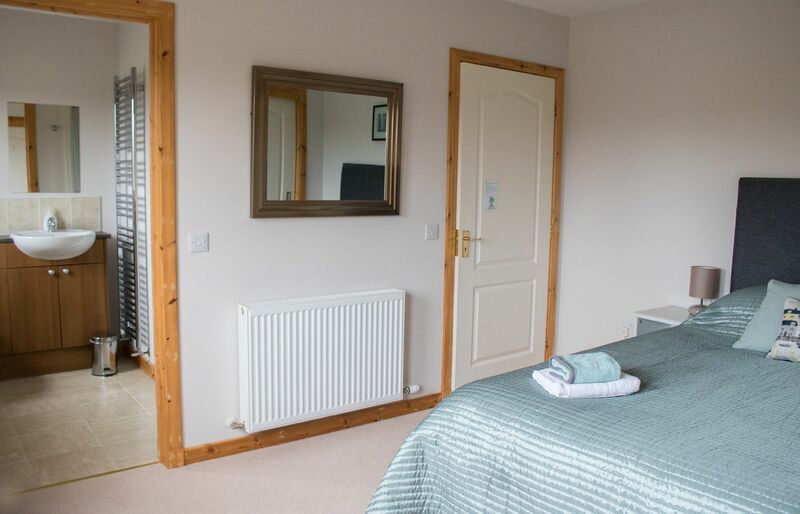 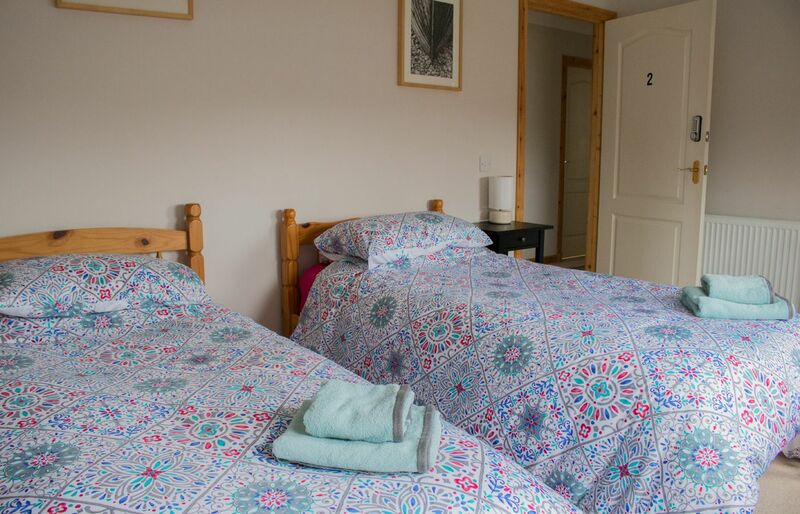 Within a short drive to Portree yet in a lovely rural location, Skyefall offers guests quality accommodation. 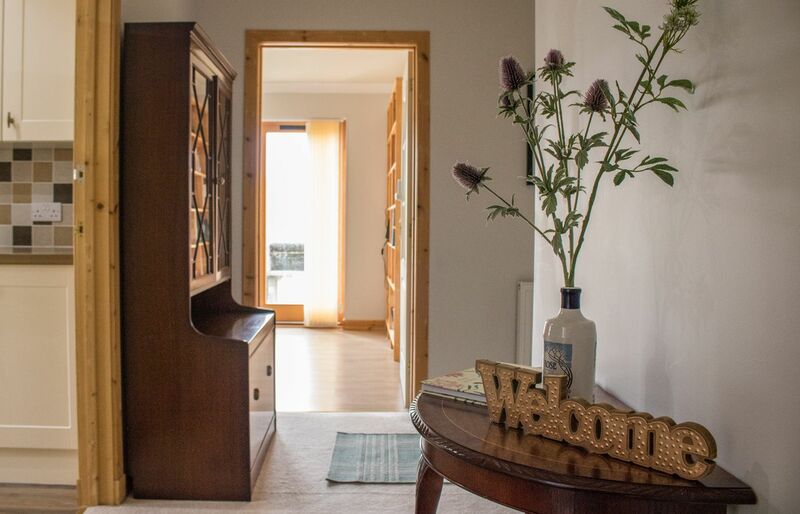 Skyefall's entrance hall welcomes you to the property. 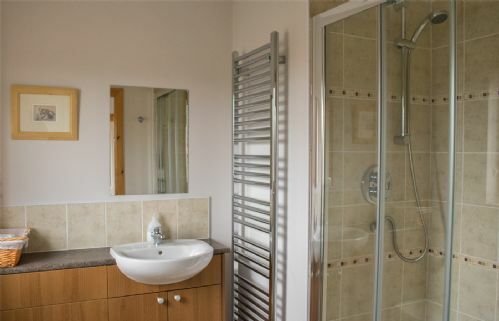 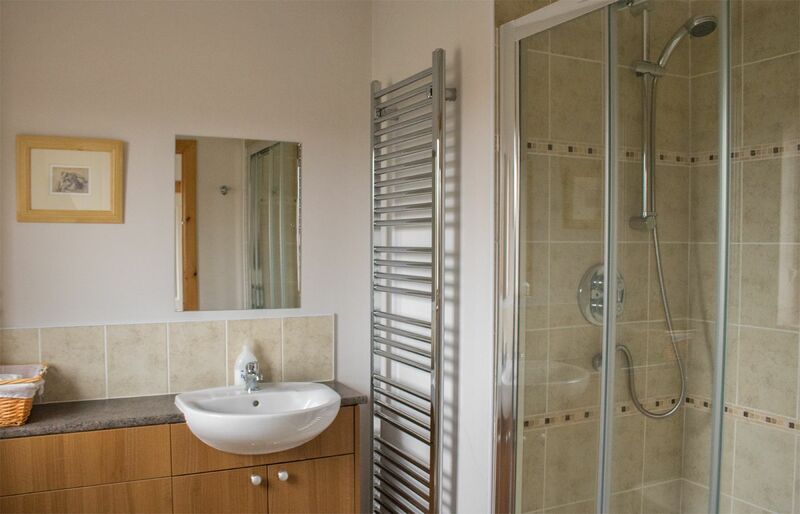 There is a generous king size bedroom with shower ensuite to one side. 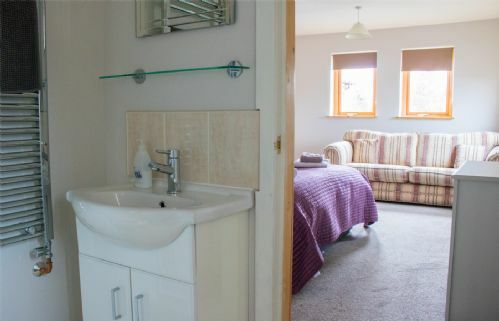 This bedroom also has a seating area. 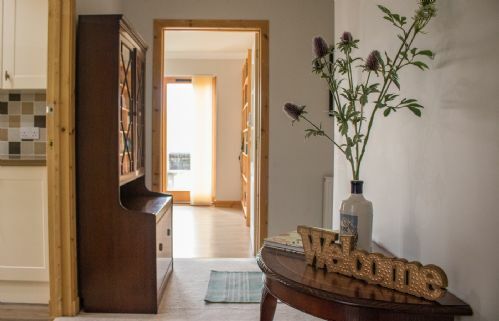 The hallway continues through the single storey cottage connecting up all the rooms. 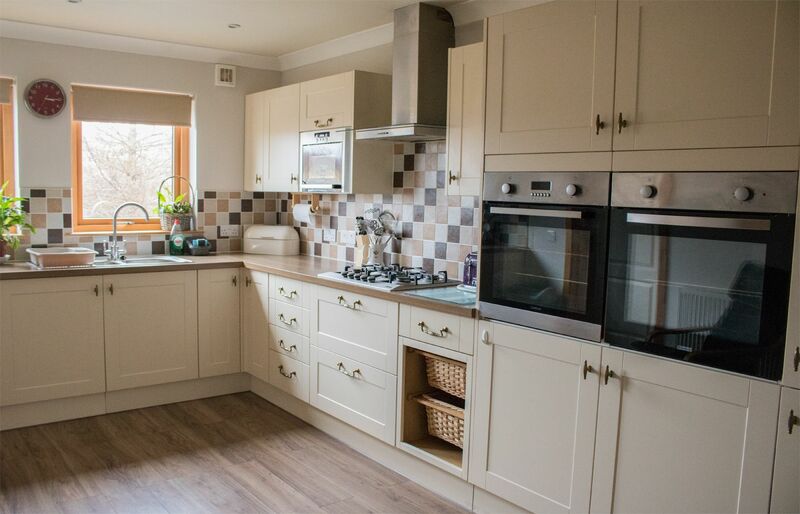 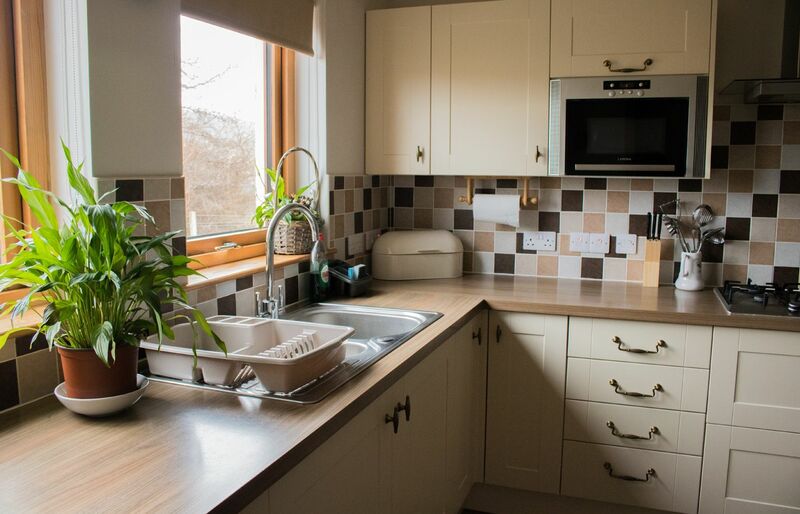 The kitchen is spacious and is very well equipped. 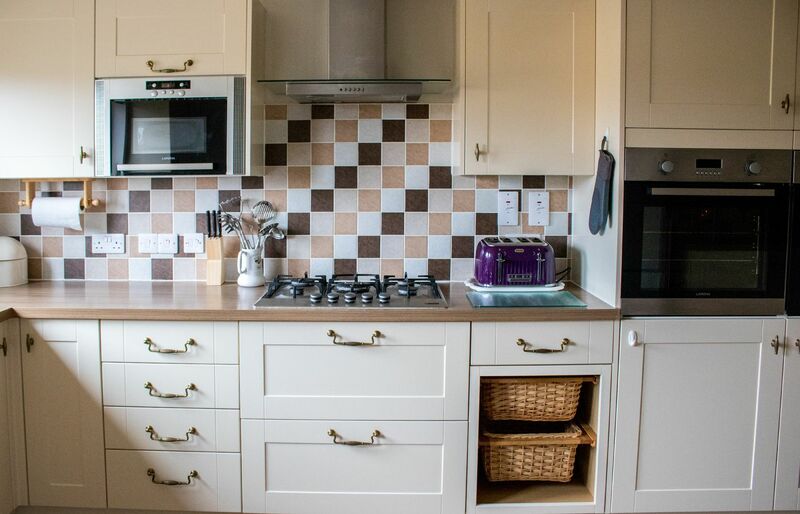 There are two electric ovens and a gas hob for cooking up excellent meals! 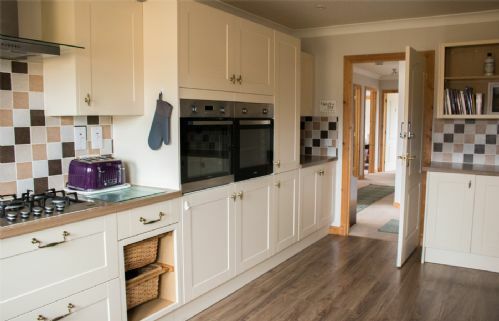 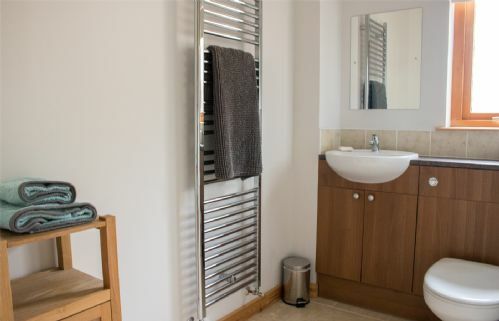 In addition there is a microwave, standing fridge freezer, microwave and kettle. 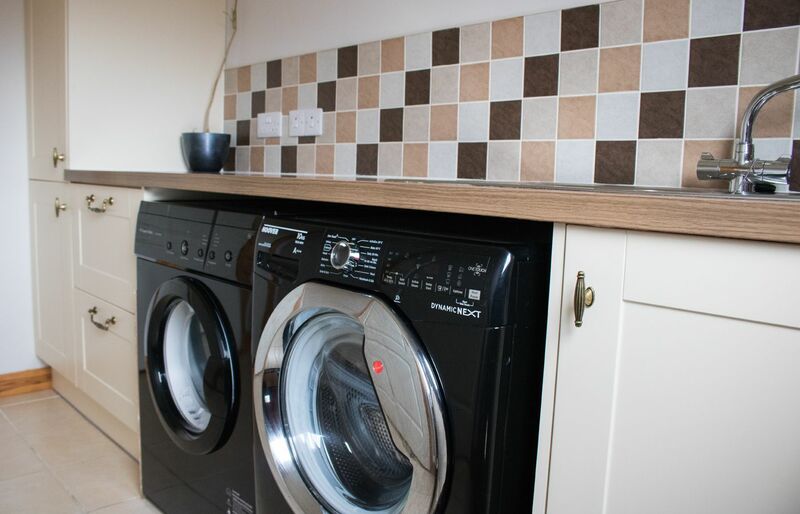 In the utility room just off the kitchen, there is a washing machine and a tumble dryer. 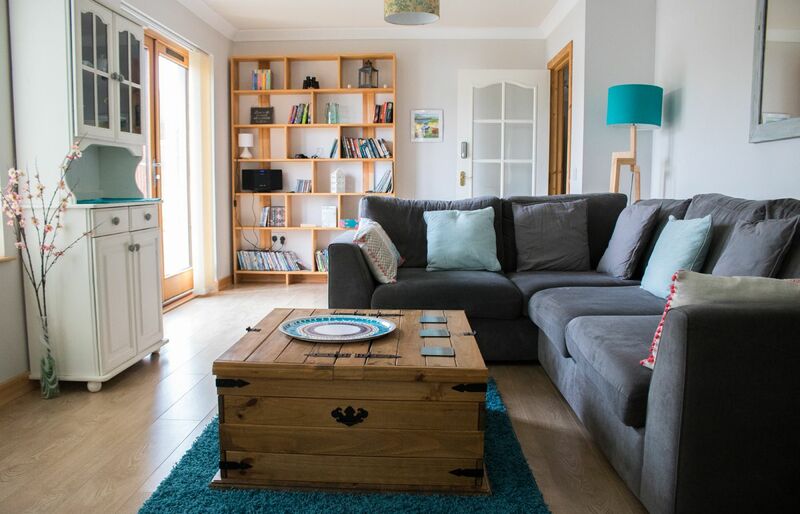 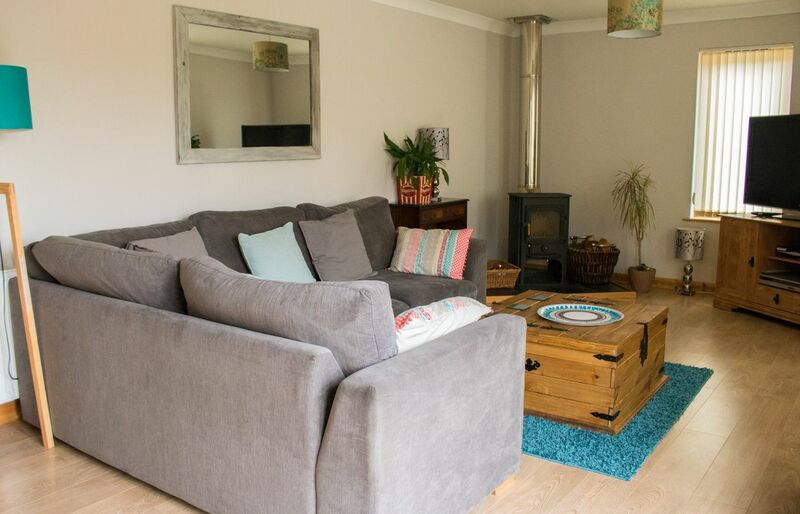 The relaxing lounge has a corner sofa, log burner, large flatscreen TV with Sky TV, DVD player, Bluetooth CD Player and various books, CDs and DVDs to keep everyone entertained. There is a set of binoculars for guests to use to spot otters on the loch outside. Patio doors lead out to the rear garden and BBQ area. 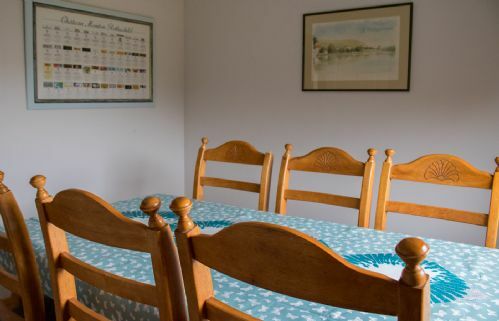 There is a separate dining room with table and chairs for 6 guests. 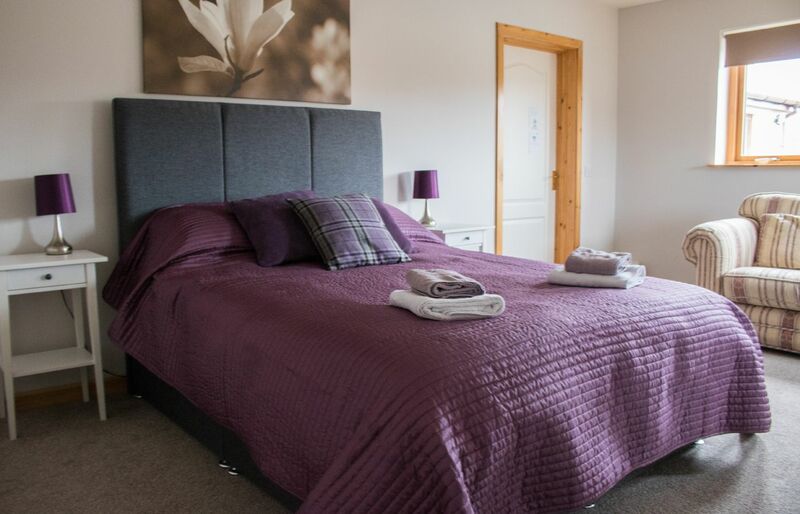 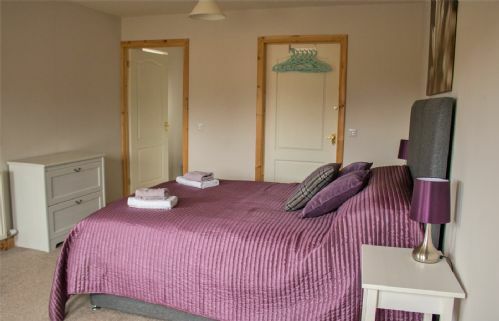 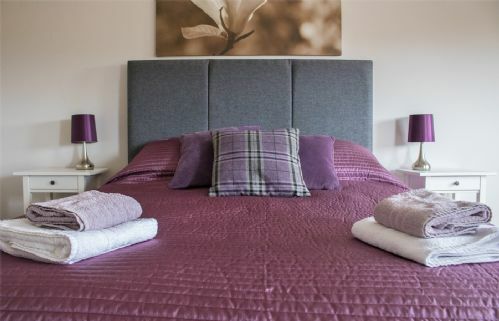 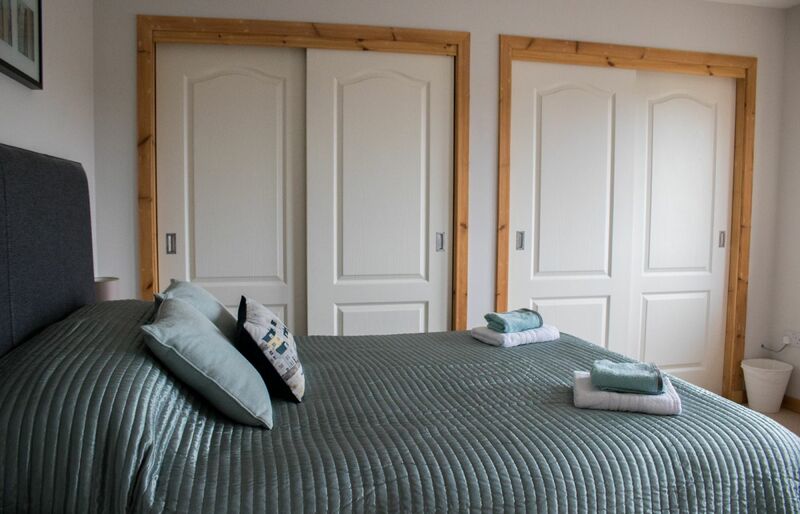 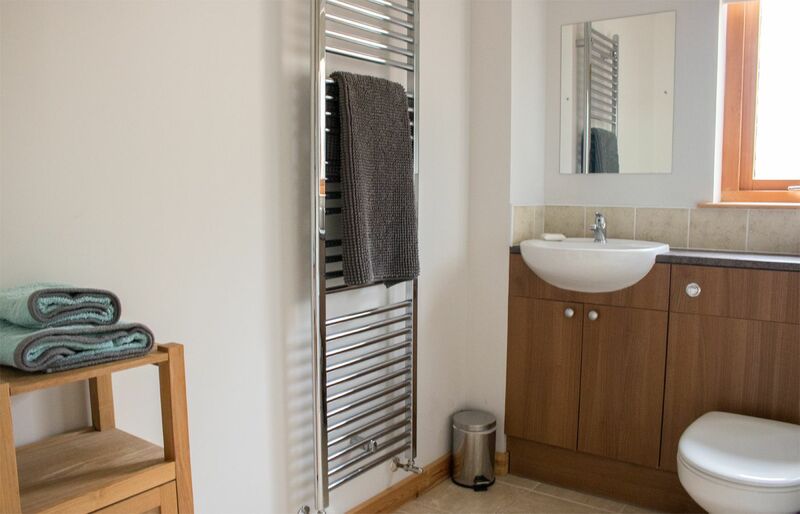 There is a further king size double bedroom with shower ensuite and a twin bedroom with two single beds. Both have excellent wardrobes and storage space. 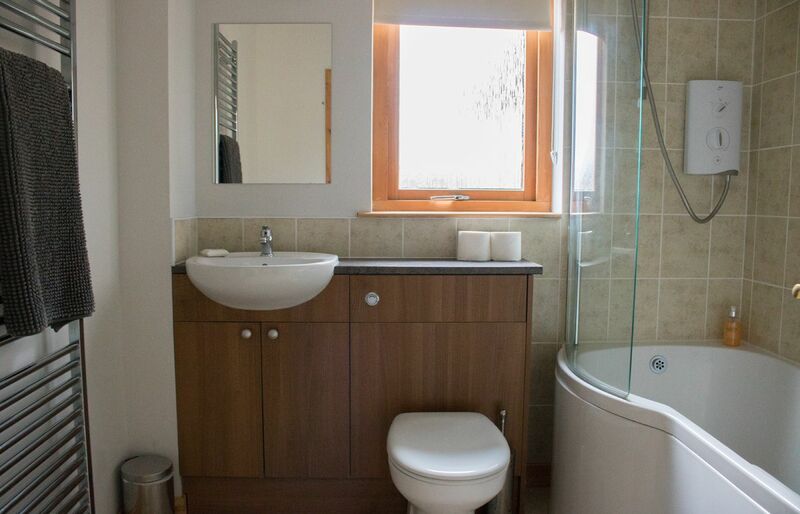 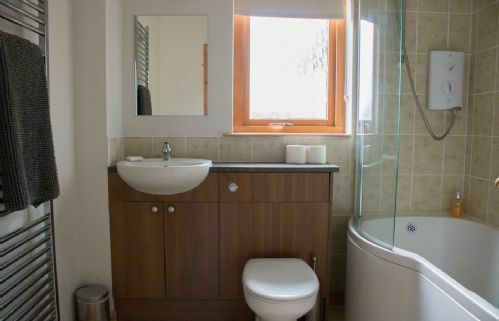 The family bathroom has a 'P' shaped bath, W.C. and wash hand basin. 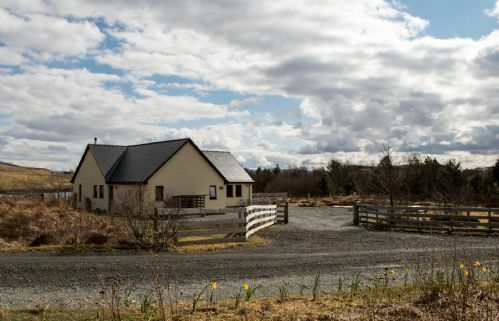 There is parking to the front of the property for up to three vehicles. The garden is behind the property and offers loch views.